The world of beauty can be a confusing place. Trends come and go, innovative products offer new solutions and our tastes are constantly changing and developing. 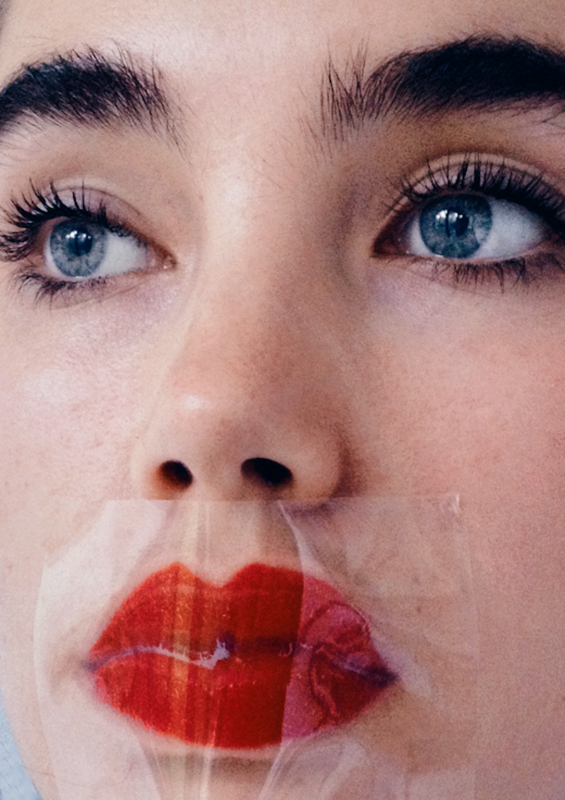 With this in mind, it’s easy to overlook the basics - and by that we mean the well-worn, specialist advice and knowledge from industry experts on some of the simplest of beauty subjects. How often should we be exfoliating? How do I know what colours suit my skin tone? Where do I start when looking for a foundation? We’ve all got burning beauty questions, and most of the time they’re the kind of questions we all want answers to. So here at Glasshouse we’re introducing our brand new series, Your Questions: Answered. One subject, one expert and a whole load of FAQs that are answered by those who know best. 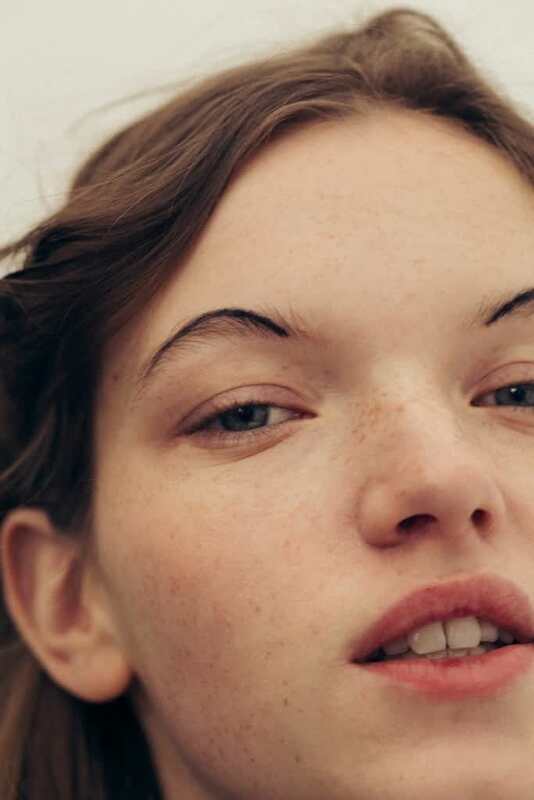 To kick off the series, we drafted in the help of holistic makeup artist and Glasshouse contributor Sjaniel Turrell to talk about a topic that’s been hot on the lips of the beauty scene for a long time: brows. Sjaniel has been working as a makeup artist since 1997, is an expert in the natural and organic field and knows a thing or two about making the most of your brows in the most natural-looking way possible. She sat down with our stack of brow-related questions and imparted her oh-so-valuable knowledge on them. Get ready to get brow-savvy. What shape of brow is the most flattering? For the most part, we all already have a brow shape that suits our face perfectly. Changing fashions through the decades means we’ve plucked them into all shapes and sizes and they may not be what they were once upon a time and then brows may need a shape and fill. If you’ve had an accident or an illness that affects your brows then you certainly want to add something, but full and natural is (in my opinion) best these days. If you don’t have much brow there are many ways to get them back to their natural (or a slightly fuller) shape - as long as you don’t try to give yourself Cara Delevingne’s brows when you were definitely not born with them. I over plucked my eyebrows when I was younger and they’ve never properly grown back. How can I make them look fuller but still natural? Having been a teenager in the 90s myself, I’ve had this exact problem for many years. I say years, because that is how long it takes for eyebrows to grow back and getting them into a fuller shape can take a very long time (sometimes they never grow back at all). Patience is certainly needed and one should resist the urge to pluck out new stray hairs if they’re in an area you eventually want the hair to be but it still looks out of place. You can fill in the gaps with either an eyebrow pencil or an eyebrow powder depending on how much filling in you need. When using a pencil try to make small, light strokes in an upward motion (in the direction of the hair growth) as if you’re drawing the little hairs in, do not colour or draw your brow on in a solid line. You can make the shape a little thicker than it already is, but don’t create a brand new eyebrow shape - the less you do, the more natural it will look. It is very important to always brush through your eyebrows in the upward outward direction with a brow brush (or clean mascara brush) after you’ve penciled in your brows, this will make it look more natural and break up any lines that are too solid in the brow. Alternatively you could use a brow powder which is usually better if you have large areas that need filling in. Use an angle brush to apply the powder and start on the inner corner of your brow with the brush at a horizontal angle. Begin directly at the bottom of the inner edge of the brow and sweep it up across and outward along the brow keeping the brush at the horizontal angle - you will see how this almost automatically creates the right eyebrow shape since the brush will be a thicker square shape in the beginning and then a thinner, straight line by the time you get to the outside edge of your eyebrow. Again, always brush through the area that you’ve filled in to give a more natural silhouette - it should be as if you have created a shadow underneath the eyebrow hairs. What should I know about microblading? Microblading has become all the rage of late and I do think it is a great tool for people who have chronically sparse, deformed or damaged brows. I’ve considered it myself, but if you are young and fashionable or still adhering to trends then I would not recommend it. Fashions will change again and thin brows will probably come back at some point. You may also think you want beautiful looking, no-fuss brows but consider how you would look without any makeup and heavy brows - you may hate it. Do an enormous amount of research because finding a therapist that truly knows how to create natural brows is very difficult. Can I still achieve a great looking brow with natural and organic products? Of course you can! 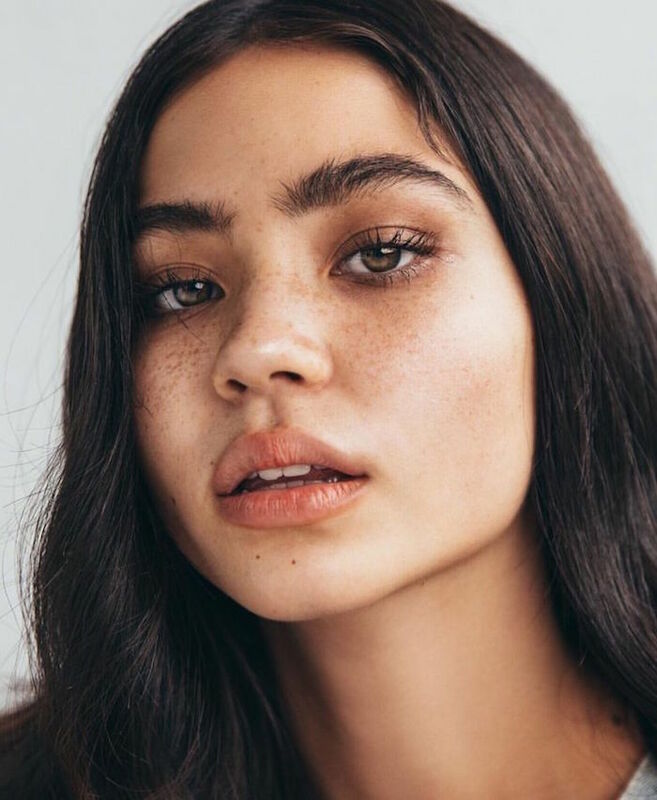 Natural and organic eyebrow pencils and powders work just as well as commercial ones - you may not have quite as many fancy product options as brows are big business in the commercial makeup world - but you can certainly create a perfectly natural and full-looking brow with the options available. My personal favourites are Jane Iredale Brow Kits for powders and Couleur Caramel Brow Pencils for their colour options and the fact that they have a handy little brush on the back end of the pencil. Would you recommend powder, pencil or gel-based products? This will definitely depend on what you need to do. Pencils are better for those who have dark or darker blonde hair and only need to fill in a few gaps or shape here and there (or alternatively need to draw on an entire brow with a very sharp pencil and skilled hand). If you have very sparse brows then using a powder is better because you can create more shape without it looking too harsh or fake and gives an illusion of a shadow around the brow rather than an overpowering new fake eyebrow (provided you’re not using too dark a colour). Gel based products are great if you have naturally very full or unruly brows and you can simply brush the product through, this adds sheen and uniformity but doesn’t fill in too much colour when you don’t need it. Should we be picking a brow shade that directly matches our hair colour? If you have brunette or dark blonde brows, it’s always best to pick a brow shade that is slightly lighter than your natural hair colour because natural brows have the light reflection of skin tone behind them and it is not natural for brows to look solid. If you have a dark skin tone you can pick a colour that is as dark as your natural hair colour but it is important to have some hair-like gaps in the brow so that they look natural. Also, take into consideration the tone of your eyebrow hair and the colour of the hair on your head as often these can be different. Some browns and blondes need more reddish undertones and others more muted or greyish undertones to look natural and this is why it’s important to test your products before you buy them. For very light blondes, taupe colour tones which may be a bit darker than your natural hair colour are great as these can create the illusion of casting the ‘shadow’ of an eyebrow shape without looking too harsh. What are some of the most common mistakes people make with their brows? The number one mistake I think most people make is trying to make both their brows look exactly the same. No one has a perfectly symmetrical face and there is a very good reason that no two eyebrows are exactly the same. There are very few people who’s faces look almost identical on both sides and they may seem to have perfectly matched eyebrows, but making your brows look exactly the same will automatically highlight other areas of asymmetry on your face. Your asymmetrical brows are actually creating an optical illusion of symmetry for your face. A very clever makeup artist (I cannot remember who) once said “Your brows are meant to be sisters, not twins.” You can certainly tweak a very unruly or weird brow here and there but don’t try to match them up perfectly. Treat them as individuals that have to look good together. Another thing I see is people creating dark, solid, thick brows when they definitely don’t have them - it simply looks unnatural. I find that people also easily hyper-focus on the brow area to get a certain ‘look’ that they’ve seen on a celebrity or in a tutorial but then don’t take how it affects their whole face into consideration - often we don’t see a very objective picture of ourselves when we’re focusing on small areas on the face. Finally, what can I do to find my natural brow shape if I’ve been plucking them for a long time? Use your eye shape as a general guide for shaping your brows. Place a pencil or makeup brush against the outer edge (left or right) of your nose and lean it against the outer edge of the corner of your eye and draw an imaginary straight line all the way to your eyebrow, this is where your brow should end. In the same way, from the outer edge of your nose lean the pencil along the inner corner of your eye and it should match up with where your eyebrow begins. A few people’s brows will start or end a little off the mark but that is a good guide to know if you’re shaping your brows in the correct place. Thanks Sjaniel! For brow basics and more, browse our range of natural and organic brow products on Glasshouse Shop. A tinted powder to emphasise your brows and a botanically-sourced wax to keep them in place, this handy kit will have you covered. The algae extract in this tinted brow gel helps to condition and protect the brows and the built-in colour will add definition. All tamed through with the soft brush - you’re ready to go. Perfect for on-the-go, this retractable pencil needs no sharpener - just twist and go. The super fine and soft pencil avoids any harsh filling-in and the spoolie end lets you brush through after.